zCover HealthCare grade silicone rubber iPhone 4 case The gloveOne protects your iPhone from impact. 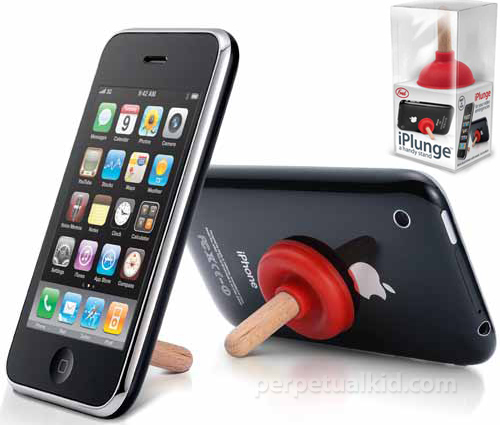 Perpetual Kid has the coolest and quirkiest iPhone stand for only $5.99. High tech meets low tech. Meet the iPlunge! 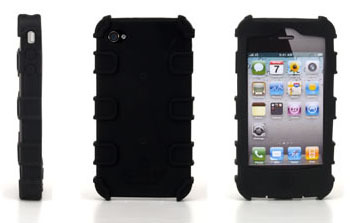 The new Softshell for iPhone 4 by TUNEWEAR is made from a soft, durable and flexible TPU material.